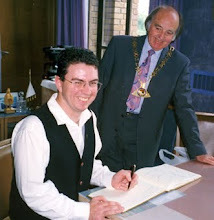 I WAS informed by Mayor Martyn Evans last evening that a Code of Conduct complaint has been made about me, with particular reference to my first formal council meeting as a councillor. I have today advised the mayor that I wish to have the matter heard by the council's Code of Conduct Panel. As this is a quasi-legal process, comments on the matter will not be published until it has concluded. THE Tasmanian Electoral Commission has made available the provisional polling place figures from Saturday's State Election. Results from local polling booths follow. I have conflicting feelings about the latest twist in the Willow Court story. I have always said Willow Court should not have been sold by the government in the first place. It should have been been declared a National Park like Port Arthur and appropriately developed for visitors. That said, I'm not in favour of the council handing back Willow Court at this time. In the months since my election to council we have taken the necessary steps to have Willow Court open to visitors by the end of May. We are reviewing and updating 10 years' worth of planning. We have established the Friends of Willow Court to introduce community participation. If anything, the government's record of caring for the site is just as bad as the council's. The first local attempts to turn Willow Court into a museum date back to the 1960s but nothing came of it and the barracks in particular continued to deteriorate while under various government ownership. I have led the criticism of the council's handling of the site in the past, but we are finally making progress and the majority of councillors have endorsed this new thrust. I fear that returning the site to the state will only further delay the preservation and redevelopment of Willow Court and surrounds. What I find particularly galling is that Mayor Martyn Evans has allowed one councillor's position on Willow Court to override lawful council decisions. It seems all of our plans have been thrown to the wind following a short meeting with the premier, which I was unable to attend. I am most disappointed at this turn of events and appalled that I had to learn about it at a public meeting without being briefed by the mayor beforehand. Ten years ago this council took ownership of Willow Court without asking if that was what the community wanted. Now after wasting about $2 million with no discernable result, it is proposed to give the site away without asking if that is what the community wants. I really expected better from this mayor. This situation also brings into question how the council can in good faith interview potential purchasers of the oval precinct tomorrow, when on Sunday we may no longer own the site. AFTER 10 years in council hands, the Willow Court historic site would be resumed by a re-elected Labor State Government, Lyons Labor MHA David Llewellyn told tonight's election forum at New Norfolk. The shock announcement follows discussions between the council and Premier David Bartlett earlier today. Mr Llewellyn said the government had decided to allow the Derwent Valley Council to keep the disputed $750,000 grant originally intended for Willow Court works, and this could be used for any purpose the council sees fit. Liberal MHA Rene Hidding said his party would work to assist the council develop Willow Court if elected this weekend. Please note: By law, online comments relating to the State Election must include the given name, surname and locality of the writer. Anonymous comments cannot be published. A REMINDER that the Lyons Candidates' Election Forum is on this evening at the New Norfolk District Football Club at 7.30pm. All welcome. LISTENING to hundreds of people since I started campaigning in the Derwent Valley in April 2009, I share the growing optimism that there are better times ahead. The Derwent Valley's natural beauty, history, proximity to the wilderness, agriculture and strong sense of community could combine to make the Derwent Valley a model of what can be achieved around regional Tasmania. The rejuvenation of the Council at last year's local government elections was an important turning point: the election of a new, energetic, capable, experienced and straight talking Labor member in southern Lyons would be another step forward in supporting the Valley's potential. working with the local bus operator and the Tasmanian Bus Association to build on and sustain the improvement in the region's public bus services. I need a big vote from the Valley to secure the privilege of a seat in Parliament - so make sure you make the Wright choice on election day! * All Lyons candidates have been invited to provide a statement for publication, detailing their commitments for the Derwent Valley. Mr Wright is the first to do so. PREMIER David Bartlett met several members of the Derwent Valley Council this morning, but work commitments prevented my attendance. I have not yet heard what commitments he made for the Derwent Valley and there have been no public statements on the matter. After leaving New Norfolk, Mr Bartlett travelled to Bridgewater where he promised to build a $3 million 25m pool if his government is re-elected this weekend. DERWENT Valley Councillors lost another opportunity to lobby Premier David Bartlett when both he and Opposition Leader Will Hodgman opted out of today's general meeting of the Local Government Association. Held at the Brighton Civic Centre at Bridgewater, the gathering of councils was expecting to be addressed by Mr Hodgman at 10.15am and Mr Bartlett at 2.30pm. 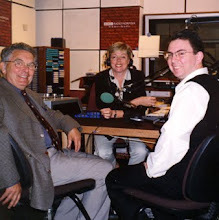 Instead, they heard from Rene Hidding and David Llewellyn. The only leader to keep his appointment was Nick McKim, despite having his party's election campaign launch today as well. 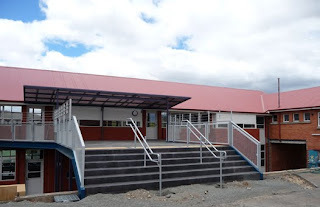 WORK has not yet finished, but the refurbished New Norfolk Primary School was officially opened today, with Lyons Labor MHA David Llewellyn standing in for Premier and Education Minister David Bartlett. “To all intents and purposes, New Norfolk Primary School will present as a new school when all building work is complete,” Mr Llewellyn said. State Government funding of $2.59 million covered the cost of a new classroom block on top of the existing Prep classroom, as well as the refurbishment of the majority of classrooms. Work started a year ago and a strong working relationship between the school, supervising architect and the builders had enabled the uninterrupted education of the school's growing student body. “This is no mean feat considering the potential for disruption presented by more than 12 months of major works on a school site," Mr Llewellyn said. 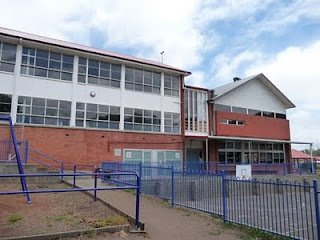 An additional $2 million in Federal Government "Education Revolution" funding had extended the project to include refurbishing the multi-purpose hall, library and other classrooms, as well as a $125,000 upgrade of playgrounds and the replacement of boundary fences. A MEETING of Derwent Valley Councillors was told last night that Premier David Bartlett's New Norfolk visit was confirmed only 15 minutes prior to last Sunday's non-appearance at the New Norfolk District Football Club. 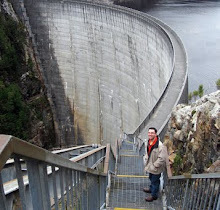 Mayor Martyn Evans said the visit had been confirmed by the office of Derwent MLC and state treasurer Michael Aird. No word had been received to explain why the premier had not turned up. 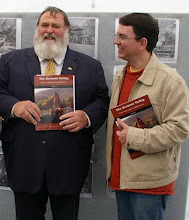 Mayor Evans said he was still hopeful of meeting Mr Bartlett prior to next fortnight's State Election, in order to impress upon the premier the many pressing needs of the Derwent Valley. MYSTERY surrounds the non-appearance of Premier David Bartlett at a function with Derwent Valley Councillors yesterday morning. On Friday evening, deputy mayor Craig Farrell emailed all councillors on behalf of the mayor and requested their attendance at the New Norfolk District Football Clubrooms on Sunday morning (yesterday) where Mr Bartlett would make a funding announcement for the Derwent Valley. I was unable to attend, due to illness, but advised the mayor that I would look forward to hearing of Mr Bartlett's election commitments and if necessary "to eat humble pie" following my outburst at last week's council workshop where I said the State Government would not talk to the council while we continued to stonewall on the issue of unspent grant funding for Willow Court. On Sunday morning, Mayor Evans, Deputy Mayor Farrell, Councillors Bromfield, Elliott and Lathey, and general manager Stephen Mackey attended the football clubrooms. 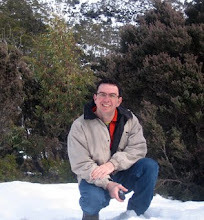 Representing the State Government were David Llewellyn MHA, and an advisor - but no premier. After a bit of a chat, Mr Llewllyn made his announcement of $50,000 funding for the Boyer Oval lights and that was that. This was welcome news - but it's hardly anything like the $27 million promised by David Bartlett to the West Coast municipality. A RE-ELECTED Labor State Government would fund the completion of lights at New Norfolk's Boyer Oval, Lyons MHA David Llewellyn said today. "Last year Sport and Recreation provided funding of $47,400, and now we are committing to provide further funding to complete the project," Mr Llewellyn said. "A Labor government will provide another $50,000 to light up the four new light towers. The lights will improve the playing and training situation for footballers and cricketers, and for Derwent Valley schools," Mr Llewellyn said. "New Norfolk Football Club and Derwent Valley cricket teams will be able to play games at night under the new lights. When Brighton Football Club started Saturday night games in 2009, using game-standard lighting, the crowds were terrific. It's a great opportunity for people to enjoy each other's company and encourage community sport at the same time. "About 3000 come to sporting competitions in the Derwent Valley - this will provide better facilities for all of them," he said. Mr Llewellyn said the overall project has been supported by a great deal of in-kind support from the community, local businesses and the Derwent Valley Council. 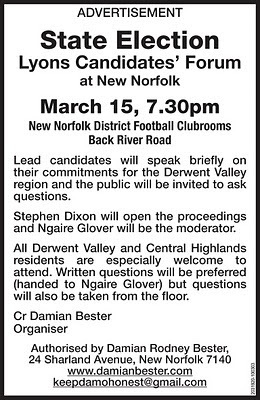 AS advertised in this week's issue of the Derwent Valley Gazette, a state election forum featuring candidates for Lyons will be held at the New Norfolk District Football Clubrooms at 7.30pm on March 15. I hope to see you there.